1. By using the Tropezia Palace site and/or any services, you accept the following terms and conditions to use Tropezia Palace and confirm that you are 18 years of age or older. You should take good note of the information below. Should you not fully understand these terms & conditions, you are advised not to register and not to participate in any of Tropezia Palace’s games and services. 2. We reserve the right to amend or change any of the terms below at any time. In this case, this document will be updated accordingly. On top of the page, you will find the date of the latest release and it is your sole responsibility to check these terms and condition each time you play for any updates by referring to the date of last amendment. Any change made are effective immediately and legally binding without need of notification from Tropezia Palace. 4. Tropezia Palace will bind the player only to the obligations listed in the present terms and conditions. 5. Under no circumstances may a person register or play if he/she is under 18 years of age. Playing at Tropezia Palace is also restricted to individuals of legal age as determined in the jurisdiction in which the player resides, so please check the laws of your residency before opening an account. We reserve the right to check the accuracy of the information you have given us. We can demand proof of your age and identity at any time. In addition, we are allowed to suspend your registration or forfeit any funds or winnings if we have any reason to believe you are under-aged. 6. It is important that your player name and password remain confidential. If you pass on this information to anyone or suspect that someone has acquired access to your account without your consent, you must immediately contact our customer service. You are responsible for all use of your profile, as well as any transactions made from your account. Should you give away, share, or lose your player name and/or password, we will not be held responsible for any resulting loss or damages. Tropezia Palace reserves the right to refuse any application for a player's account. 7. Each member is entitled to create a single account. You can open multiple accounts per household, but each person must use a different means of payment. Tropezia Palace reserves the right to check the compliance with this condition and to close any account which does not comply with this rule. The account balance of any additional accounts, except for bonuses and fraudulent winnings, will be transferred to a single account. When you register, the identity of the credit card’s holder must be the same as the one used to create the account. 8. The account holder is the only person who can use the player account. You understand and acknowledge that the games and any other services provided on the site are for entertainment purposes only. Any use of Tropezia Palace for any other purposes or intentions is strictly prohibited. You hereby acknowledge that your interest in the games and other services provided by Tropezia Palace is of a personal nature. 9. If you close your player account, all funds (excluding any bonus money) that might not be redeemable will be transferred to the originating bank account. 10. In order to avoid excessive gambling, a player will be able to place financial limits on the amount of wagers and deposits. 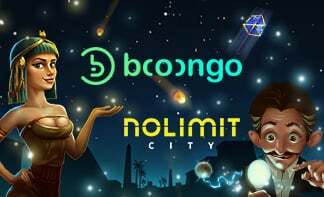 In the responsible gaming section the player can set limits for daily, weekly, and monthly net deposits (net deposits = deposits – withdrawals). A requested limit will have effect immediately the first time it is submitted or in case a prior limit is lowered. If the limit amount is increased or terminated, such change will take effect after a 48-hour cooling off period; please contact customer support with your request. A limit set by the player will be in effect until the player decides otherwise. 11. If you receive winnings from multiple accounts, Tropezia Palace can investigate for up to 45 days and sums overpaid will be automatically deducted from any winnings. 12. In the case of a dispute about the accounts and the registration, please refer to the section Applicable Law / Jurisdiction and Litigation below. 13. Only the account owner may receive his winnings via the same method the deposited in the account. As such, if using e-wallets, the winnings will be transferred to the same e-wallet connected to the account. Similarly, if using credit/debit card or cash cards, the fund will be transferred to an bank account with the same name and details of that against the account. Tropezia Palace will not transfer any funds to another person, or bank account with different account details, from that of the player. Equally, winnings will not be paid in tangible banknotes of any currency. 14. All winnings will be paid in the currency selected upon registration.Tropezia Palace calculates and settles all matters involving exchange rates in accordance with recognized financial institutions at currently applicable exchange rates. Wherever possible we avoid any charges or fluctuations within currency exchange, but slight differences may occur due to variances between exchange rates. Photographic proof of identity though of photo of the valid identity documents and yourself. All documents that are sent to Tropezia Palace are confidential and will be handled by special staff. 16. We will monitor all wagers and account transactions. All wagers are binding, even if the player had browser problems, Internet connection problems or other problems not caused by Tropezia Palace. Any winnings will be credited appropriately to the player's account in the case that the player won. In the event of a game malfunction or use of the website in a way not intended by the design, all related wagers are considered null and void, and the player's account will be returned to its starting balance. 17. For all the winnings, the rule is the following: The player will receive up to 9,500 €/£/$ every subsequent 30 days until the whole winnings have been paid. The minimum withdrawal is 100€/£/$. Any real money deposit is subject to wagering before it can be withdrawn. This is a security regulation that aims to prevent international money laundering. Therefore, in the case of withdrawal requests pertaining to funds not used for wagering, we will refuse the withdrawal. 18. It is your responsibility to provide sufficient and accurate banking information to complete a transaction. If the information is not sufficient and accurate, any additional fees or charges will be levied on the player. 19. Tropezia Palace does not currently accept players from the following countries: Afghanistan, Albania, Algeria, Angola, Cambodia, Ecudaor, Guyana, Hong Kong, Indonesia, Iran, Iraq, Israel, Kuwait, Lao, Myanmar, Namibia, Nicaragua, North Korea, Pakistan, Panama, Papua New Guinea, Philippines, Singapore, South Korea, Sudan, Syria, Taiwan, Uganda, Yemen, Zimbabwe, Belgium, Bulgaria, Canada, Denmark, Estonia, France, Italy, Mexico, Portugal, Romania, Spain, Sweden, United States of America, United Kingdom. 20. Tropezia Palace does not accept cash payments to players account. You are required to use any of our chosen encrypted depositing methods which we have vetted for safe use. 21. Tropezia Palace does and may appoint a payment solution provider to act, receive deposits, hold and manage funds, and/or expedite withdrawals on their behalf. 22. We will not accept a wager from a player unless there are sufficient funds in the player's account. As such we reserves the right to refuse or limit any wager. 23. Tropezia Palace does not grant credit to any player and neither deposits nor winnings are interest-bearing. 24. It is not possible for you to transfer sell, buy or acquire another player´s account, whether for money or otherwise. As such, you cannot make any transfers between different player's accounts. 25. The minimum allowed deposited amount is 10€/£/$/CAD/AUD. The standard maximum amount allowed to be deposited for the first time is 1000€/£/$. Players who wish to deposit more than the maximum allowed should contact customer support to receive a personal service. 27. Tropezia Palace will not provide any information about your net winnings. That responsibility lies with you. To do this, you should keep track of your winnings and declare them to the competent authorities if you live in a jurisdiction where such winnings are taxable. 28. You are 18 years old or more. 29. You are not a permanent resident or citizen of Curacao. 30. You are solely and entirely responsible for compliance with laws governing the jurisdiction where you live. 31. All the personal information recorded on your account is accurate and truthful. 32. You take part in bets in your own name and not for commercial use or on behalf of third parties. 33. You do not bet from multiple email addresses and do not use other methods to play multiple times. In addition, you must be aware that if you try to bet from several email addresses under different identities or if you use any other methods to create multiple accounts, you will be banned from Tropezia Palace, with your accounts closed and the potential winnings retained. 34. You have read the legal disclaimer by Tropezia Palace on its website. 35. You understand in full the methods, rules, and procedures for taking part in bets as they appear in the Rules and Regulations of bets. 36. You are aware that you can lose money by making a bet. 37. The funds used to play on Tropezia Palace is your own money and has not been acquired by fraudulent means. 38. Tropezia Palace, registered in Curacao, is permitted by the laws of this country to operate its activities. 39. Tropezia Palace is open only to players where the laws of their country of residence does not forbid them from being involved in online betting. 40. Personal information of all members registered on Tropezia Palace will remain confidential as stated in our Privacy declaration. 41. Tropezia Palace will not be held responsible for the following: in case of force majeure, (ii) failure of servers or some servers of Tropezia Palace (iii) delays, losses, errors, or as a omissions consequences of telecommunications failure or any other data transmission system, (iv) any loss due to any hostility, riots, civil disturbances, or acts of terrorism disrupting Tropezia Palace (v) actions of the Government or any authority, for example in the case of a refusal or cancellation of license or authorization; (vi) fire, explosion, flood, theft, malicious strike actions, or any type of sector action. 42. With the most advanced encryption technology, Tropezia Palace makes all possible effort to ensure the security of your data, such as your password, playername, and banking details. Tropezia Palace cannot be held responsible for any disclosure of such information due to unauthorized access and illegal or any other event that may occur following the use of such information in criminal activity found beyond our control. All the financial transactions are processed through our E-Cash subsidiary, MegaTen Ltd., # 258 Camden Road, London, NW1 9AB, United Kingdom. 43. Any employees or consultants working for Tropezia Palace and their immediate relatives are not allowed to make bets on Tropezia Palace. 44. Any bet must be in accordance with Tropezia Palace terms and conditions. Rules and regulations may be modified at any time, for example the betting rules, procedures for payment, or the payment of winnings. 45. Tropezia Palace cannot be held responsible for any action or omission made by the Internet Service Providers (ISPs) with whom it signed a contract to access Internet sites. Tropezia Palace will not take part in any dispute between you and the ISPs. Moreover, this litigation will not affect your obligations listed in this contract. 46. In case of any suspicious activity that might indicate fraud or money laundering, the management reserves the right to refuse registration of new accounts, investigate and, if needed, freeze suspicious accounts, request identification documents and other supporting documents relative to the case, merge and/or close any accounts dependent on the investigation results. Management reserves the right for final decision. Tropezia Palace reserves the right to modify or terminate this contract on its own initiative at any time. Techniques as Martingale d'Alembert Etc ..., using software or any other suspicious methods will entail winnings confiscation and the closure of the account. 47. Tropezia Palace holds the copyright of all the text and but also images provided on this website. You must respect this copyright and / or trademarks on the applicable websites. In addition, you agree to adopt the necessary caution and to respect the security measures when you are using affiliated websites. 48. Any reference to any product, service, procedure, hypertext link, or any other information including trade names, trademarks, trade, manufacturers, suppliers, or other present on the websites does not constitute or imply a promotion, sponsorship, or recommendation by Tropezia Palace. 49. Tropezia Palace cannot be held liable for the accuracy of the content of any page or advertising but also any violation of any law, decree, order, or applicable regulation occurring anywhere from which you can access advertisements or web pages. 50. It is possible to terminate this contract at any time. Simply notify Tropezia Palace, in writing, indicating your wish to close the account and the reasons stated. 51. Tropezia Palace reserves the right to modify or terminate this contract on its own initiative at any given time. 52. When shutting down a player's account, Tropezia Palace will process any refunds on your account, if applicable, to your payment details stated in your account. 53. The closing of a player's account, initiated by the player or by Tropezia Palace, will be effective when any amount legally due by one or the other party has been recovered, under the terms of this present agreement. 54. You will be able to open your account again by sending a request to the customer support team. All requests for re-opened account will be evaluated by our Fraud and Risk team who abide by strict anti-addiction guidelines. 55. All formal complaints must be directed to the customer support team in writing or in electronic format. A complaint shall be deemed to have been submitted in a valid manner when it contains clear information regarding the player's identity and gives all relevant details giving rise to the complaint. Complaints will normally be handled by Tropezia Palace within 48 hours from submission of the complaint by the player. If you are not content with Tropezia Palace’s handling of your complaint, you may submit your complaint to the regulating authority. 56. In the event that there is a discrepancy between the game variations as recorded in Tropezia Palace database, and that recorded by the player, the calls recorded in the Tropezia Palace game server will be considered valid. 57. Spamming of the customer support team (sending repeated copies of the same message) is prohibited. Players are prohibited from harassing or abusing the customer support staff. Players are requested to address their concerns without the use of obscenities or threatening language. We reserves the right to monitor anything and everything submitted by you to the Tropezia Palace Live Chat Service to ensure that they conform to content guidelines that are monitored by us and subject to change from time to time. 59. Welcome Bonus The welcome bonus offer is valid for new customers, only one offer per customer from the same household, or with same IP, email address, phone number or computer. When you receive a deposit bonus, you will need to meet the above wagering requirements before you can request a withdrawal of any funds. There is a processing time of 2 business days before the withdrawal can be validated. The management of Tropezia Palace reserves the final right to choose who is eligible for the bonus or not. Free Money: Winnings made with free money (Free Bonus, Freespins, 100% Welcome offer have a withdrawal limit of 20 times the received free money amount. For example, if you receive 20 € free money then you can withdraw up to 400 € of winnings made with this free money. If you have a winning balance that is higher than 400 €, it will be zeroed out upon the withdrawal. Please observe that this condition only applies for winnings generated with free money that you receive as a promotion from us. If you win with your own money that you have deposited, there are no limits to how much of your winnings you can withdraw. If you win with deposit bonus money, the win and the bonus need to be wagered the above mentioned times depending on what kind of bonus you have received. The wagering requirements and the withdrawal limits for free money can vary from promotion to promotion. Please contact customer support, or click the on the acceptance of the free money, to see the exact terms and conditions regarding that particular offer, including any wagering requirements. If you are uncertain regarding the conditions of any of our special offers or promotions, you can contact our support team who will be happy to answer all your questions. Risk-free bets on any games (i.e. betting in proportions on different outcomes in the same hand to create "action" without risk) do not qualify towards wagering requirements. Examples of risk-free bets include betting on red and black simultaneously in Roulette, and betting player and banker simultaneously in Baccarat. Any players found to be colluding, for example, one person betting Player, the other betting on Banker will have their accounts closed indefinitely, and all money permanently frozen. The standard contribution of your bets towards the wagering requirements can vary from promotion to promotion. Please contact customer support, or click the on the acceptance of the promotion, to see the exact terms and conditions regarding that particular offer, including any wagering requirements. The management reserves the right to adjust the terms and conditions per country of our offers and bonuses as needed. From time to time, we will offer exclusive offers via one of our affiliates, marketing channels or other partners. These offers will often be subject to unique terms and conditions and could be limited by time. Please turn to support with any questions related to exclusive offers. Play money is not real (bona fide) money and is kept separate from real money. Play money does not constitute or represent any value whatsoever. Play money can only be used for playing on demo games and cannot be collected, cashed out or in any other way be made into or transferred between Tropezia Palace and you or any other person or legal entity. There are no wagering requirements on the free spins. Everything you earn from the free spins is yours to keep. The maximum cashout limit generated from Free Spin offer or the winnings of the Free Spin offers is €200. Any remaining balance will be forfeit. Please bear in mind however, that if you currently have a bonus active (a deposit offer for example), the money from the free spins will be used to clear the wagering of that existing bonus. If you do not want this to happen simply clear your bonus money first before claiming your free spins. 60. This Agreement, its interpretation, implementation, and the relations that bind the parties are governed by the laws of Curacao. Check your account balance before placing any bet. Each new challenge implies your acceptance of all previous transactions, therefore, you can have no claim against Tropezia Palace about your bets and winnings. Claims and litigations must be settled before you start betting and within 3 days after the date of the query. 62. For quality and training purposes, Tropezia Palace can record telephone conversations. 63. In case of litigation, the two parties agree that the tape recording and its backup are the final proof in the litigation. All bets will be adjusted accordingly. 64. Any litigation or claim arising directly or indirectly from this contract will be submitted to the competent court of Curacao which has exclusive jurisdiction. 65. These terms & conditions constitutes the entire agreement between you and Tropezia Palace and supersedes any and all prior and existing agreements in regards to the site and the services provided by us. You acknowledge that Tropezia Palace has not made any representations, promises or agreements to you relating to the subjects addressed by the terms & conditions that are not embodied herein. 66. You agree to indemnify and hold harmless Tropezia Palace, Fitzgerald Industries Group NV and its officers, directors, employees, agents, licensors, suppliers and any third party content and service providers to the site from and against all losses, expenses, damages and costs resulting from your violation of the terms & conditions. 67. If Tropezia Palace suspects fraudulent activity in any particular game, then we will have the right to cancel the game. Suspicious players in respect of the fraudulent activity will have their account blocked until further investigations. Any players not so suspected will have their wagered amounts in respect of cancelled games returned to their account. Any suspicious activity will be reported to the directors of Fitzgerald Industries Group NV. Tropezia Palace will also have the right to close a game immediately if something wrong is identified with the game settings, and refunds for purchased bets will be paid out. 68. If, at Tropezia Palace's sole determination, you are found to have cheated or attempted to defraud the service or Tropezia Palace in any way including but not limited to game manipulation, chip dumping, transfers or payment fraud, or if you make untrue and/or malicious comments with regard to Tropezia Palace 's operation in any media or forum, Tropezia Palace reserves the right to publicize your actions as well as to circulate this information to other online gaming sites, banks, credit card companies, and appropriate agencies. Furthermore, Tropezia Palace may close any accounts, and forfeit account balances, that you have at Tropezia Palace or at any other Tropezia Palace related website and/or business. A. Blacklisted Territories : Afghanistan, Albania, Algeria, Angola, Australia, Cambodia, Ecuador, France, Guyana, Hong Kong, Indonesia, Iran, Iraq, Israel, Kuwait, Lao, Myanmar, Namibia, Nicaragua, North Korea, Pakistan, Panama, Papua New Guinea, Philippines, Russia, Singapore, South Korea, Sudan, Syria, Taiwan, Uganda, Yemen, Zimbabwe. B. Regulated Territories: Belgium, Bulgaria, Canada, Denmark, Estonia, Italy, Mexico, Portugal, Romania, Spain, United States of America, United Kingdom. In addition to the A, B & C above it is not permitted to offer Aliens in Japan or Canada. Universal Monsters (Frankenstein, the Bride of Frankenstein, Dracula, The Mummy, The Wolf Man, Creature from the Black Lagoon and The Invisible Man) and Scarface, and South Park. Andorra, Armenia, Azerbaijan, Belarus, Bosnia and Herzegovina, Brazil, Georgia, Iceland, Liechtenstein, Moldova, Monaco, Montenegro, Norway, San Marino, Serbia, Switzerland, Ukraine, Croatia, Macedonia, Turkey, Austria, Belgium, Bulgaria, Cyprus, Czech Republic, Denmark, Estonia, Finland, Germany, Greece, Hungary, Ireland, Italy, Latvia, Lithuania, Luxembourg, Malta, Netherlands, Peru, Poland, Portugal, Romania, Slovakia, Slovenia, Spain, and United Kingdom. 70. Upon submission of the registration form Tropezia Palace, you accept and sign this contract.